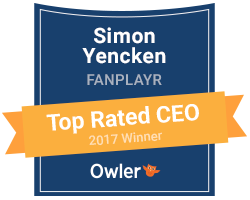 Enhanced analytics package now available for Fanplayr’s real-time offers platform. Fanplayr has developed a unique platform for e-commerce merchants that analyzes site and visitor traffic to determine the optimal value and timing of purchase incentives. Personalized, on-site offers are then displayed in real-time, depending on visitor behavior. With Smart & Targeted Analytics, merchants now have in-depth insight into their purchase incentive programs. Segmented traffic, number of offers presented, collected, redeemed, offer conversion rates and average order values are some of the metrics available through Smart & Targeted Analytics. An early adopter of the analytics package has been Linda Easton, director of Marketing for SiginingTime.com, the producer and distributor of award-winning sign language products.